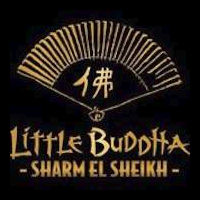 The sister venue to Little Buddha Bar Paris- Little Buddha Sharm opened its doors in 2008 to welcome everyone to dine and drink in this unique and luxurious venue. Our number 1 priority is service to our guests with a very large number of them returning again and again, this is done with understanding that each guest is imperative to the continued success of our venue. With this in mind we strive to meet the individual needs of everyone. A unique mix of imaginative contemporary Asian, Japanese, French, Pacific and Sushi food, opulent interiors and exotic world music Little Buddha is one of the most exciting and impressive restaurants. A full a la carte menu with exotic delicacies and luxurious dishes, With highly qualified chefs specializing in each genre of food. Warm friendly efficient front of house staff trained to elevated standards, whether we are catering for individuals, couples families or large groups. We endeavor to stay close to our core belief to cater for each individuals needs. Home to some of Egypt’s best resident DJs and host to some of the world best guest DJs that set the dance floor on fire. A complete change from the relaxed and sophisticated dining experience that we offer, Little Buddha becomes an energetic stylish background for a mix of both tourists and prestigious VIPs looking to enjoy the chic, electric atmosphere. The right atmosphere, the right music, the right staff and the right clientel is what makes Little Buddha.